businesses that will participate in the Expo. PEABODY, MA- Some claim there is healing in shopping, but a trip to the North Shore Mall in Peabody on Saturday, March 5, may just save your life. From 10 a.m. until 3 p.m., the 7th Annual Health and Wellness Expo with over forty booths strung throughout the mall will provide free screenings, fun giveaways and an array of crucial—and free—information for the public, said Ben Bouchard, 30, assistant director of the Salem Chamber of Commerce. The event—hosted by the Beverly, Peabody and Salem Chambers of Commerce—will feature member businesses from all three Chambers. The Chambers joined together to bring the broadest range of traditional and non-traditional health and wellness opportunities to best serve their communities. Booths will include everything from massage therapy and Reiki healing to MetLife and Dragon Within, a martial arts studio in Salem, according to Chamber representatives. “North Shore Dentistry of Beverly will be taking pictures of teeth and Eyephoria Optical will have a display of varying frames and lenses,” Cathy Julien, 52, the member associate of Beverly Chamber of Commerce. 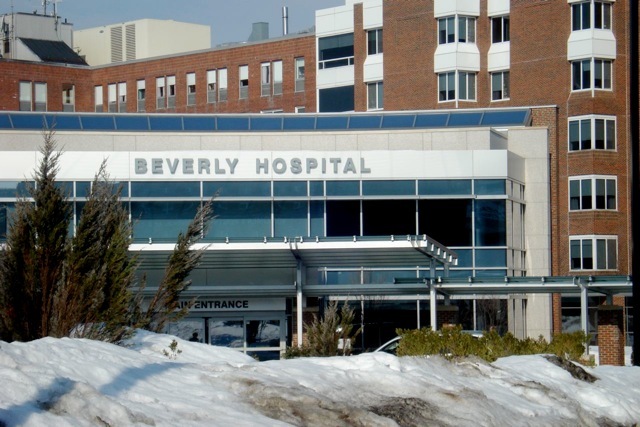 Beverly Hospital, the Expo’s largest sponsor, will offer free screenings. Bouchard said that the event gives people the opportunity to speak with live representatives, ask questions one on one and receive tips and information on how to improve their health and wellness, all with the aim to inform people and connect them with local businesses. Other businesses that will be represented at the Expo include CAB Health and Recovery, North Shore Elder Services and Spalding Hospital. “In just an hour or two, people can visit so many vendors in the health and wellness field,” said Bouchard. There will also be booths for athletic clubs, health insurance providers, nutritionists, yoga and beauty products by Mary Kay. Sports medicine professionals will be on hand as well as banks, financial institutions and numerous alternative therapies. “You can get beautiful, have your teeth checked, pick out new eye glasses and sign up for ballet, all in one place,” said Julien. Fair Expo. I missed it. In my surmise, this enter authority be beneficial for undergrads. I conceive I choose use it to my college mates in our bottom of custom essay writing help as we own such stopgap.No need to worry about any problem or theoretical theme of any kind. There is a best solution for your query or need like write my paper for cheap. Provide the best ideas properly in formal and literary forms, as required at the place you study in. Preventive care lets your doctor find potential health problems BEFORE you feel sick. Good health begins with good lifestyle habits and regular exams. We're very thanks for the blog post. I may see a good deal of approaches after seeing your post. Photoshop online Alternative is a perfect alternative to photoshop. A free photos edit includes all the basic features as well as the extra bells and whistles that most people need to photoshop and enhance their photos and images. This was the great fair for the patients and other people. They had invited world’s best health experts. They organized health check-ups for all. This is really a great work done by team. It was on a big level. It helped people to understand the importance of health. More information related to health available on wellnessshot. It was a great contribution to society. I appreciate the efforts of organizers. We are providing the best assignment help Melbourne. We provide the best service for your academic-related writing works. You achieve the best grade in exams. Directly hire at Ausrtaliaassignmnethelp.com.